This recipe has become one of my absolute favourites to have in the fridge. 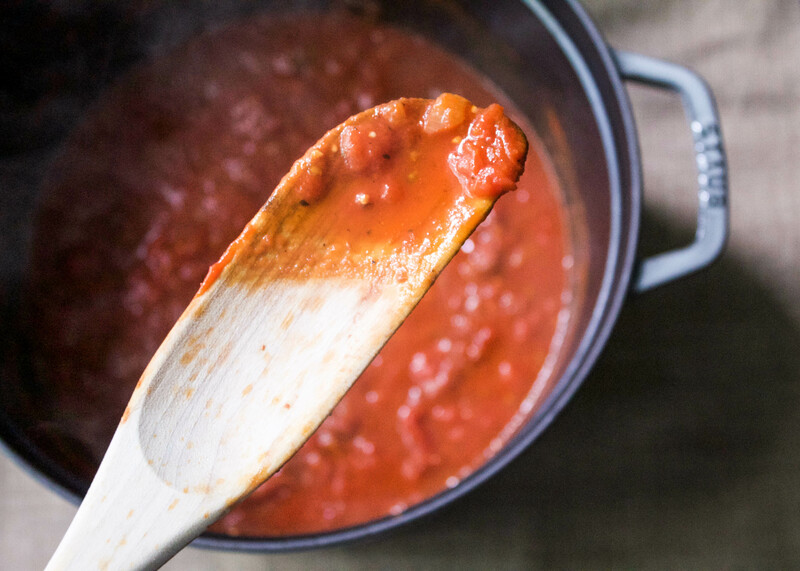 Not only does it go so well on top of pasta, but it makes an incredible side dish for meat, fish, tofu and legumes.If you are not a fan of eggplant, it is still worth it to make this marinara sauce! It is my go to homemade pasta sauce. 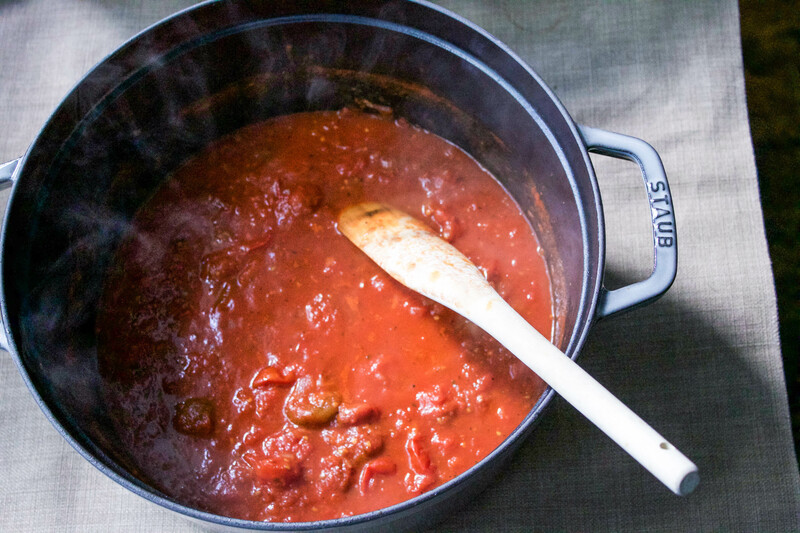 A good tomato sauce isn’t really about the quantity of ingredients but more about the quality. From my travels throughout Italy, I realized how SIMPLE every dish was. When you have great quality fruit, veggies, oils and so on, your meal will be amazing without having to do much to it. So for a healthy and truly delicious meal, spend a little extra money on your ingredients and you will notice a huge difference in flavour. 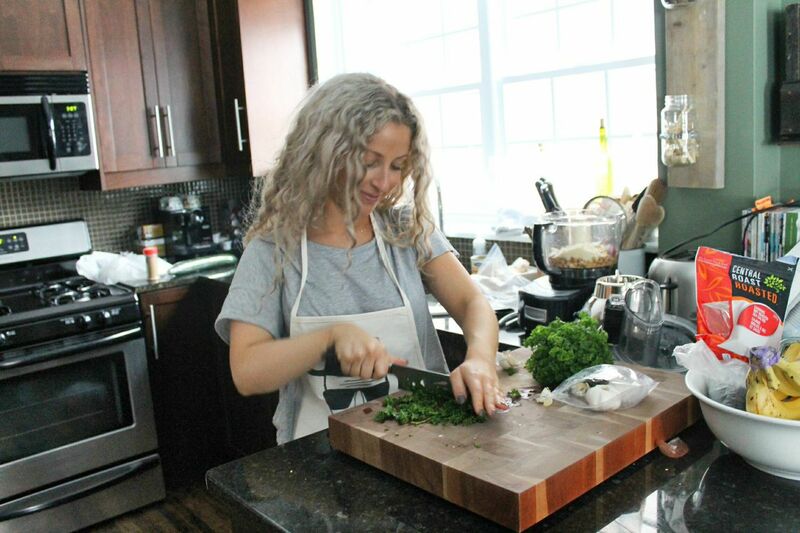 Hope you love this recipe as much as I do. It will keep you nice and toasty as we head into fall. 1.In a large pot, heat olive oil over medium heat. Add shallot and cook until translucent, then add garlic. 2.Stir in the wine and cook over medium-high heat for 3-5 minutes. Add your tomatoes, chilli flakes, basil, salt and pepper. 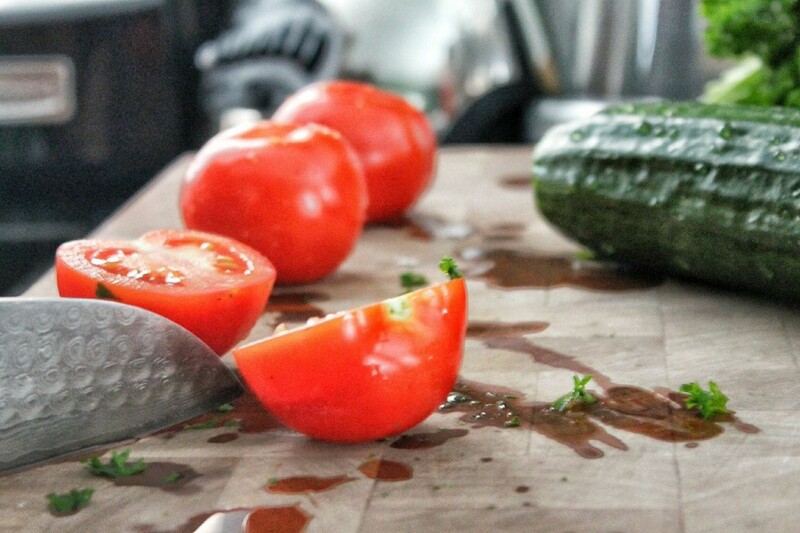 Using the back of your spoon, break apart the tomatoes until desired texture is achieved. 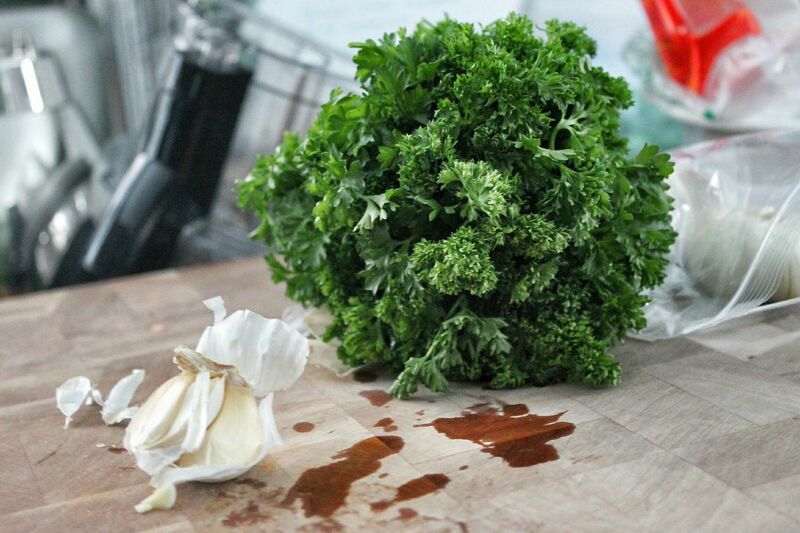 Simmer for 15-20 minutes.For a smoother sauce, transfer to a blender. 1. While the tomato sauce is simmering, clean and cube eggplant. Steam the eggplant for 8-10 minutes. 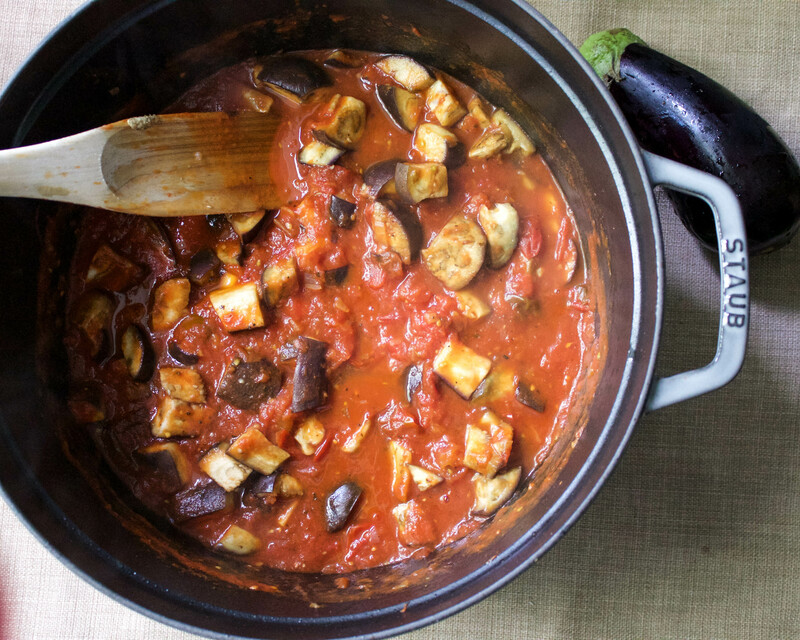 This ensures a really tender eggplant without having to fry it in loads of oil. 2. 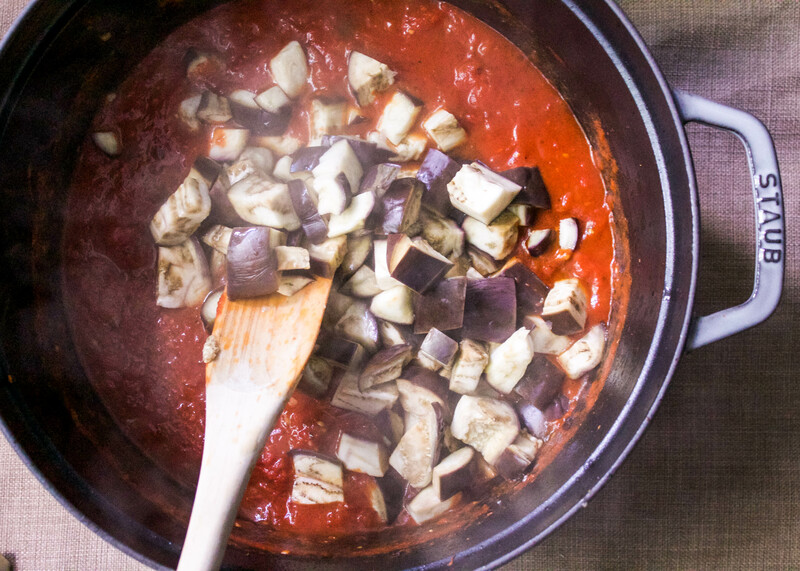 Once the eggplant is tender, transfer into tomato sauce and serve! Garnish with fresh basil, salt, pepper and tasty extra virgin olive oil. 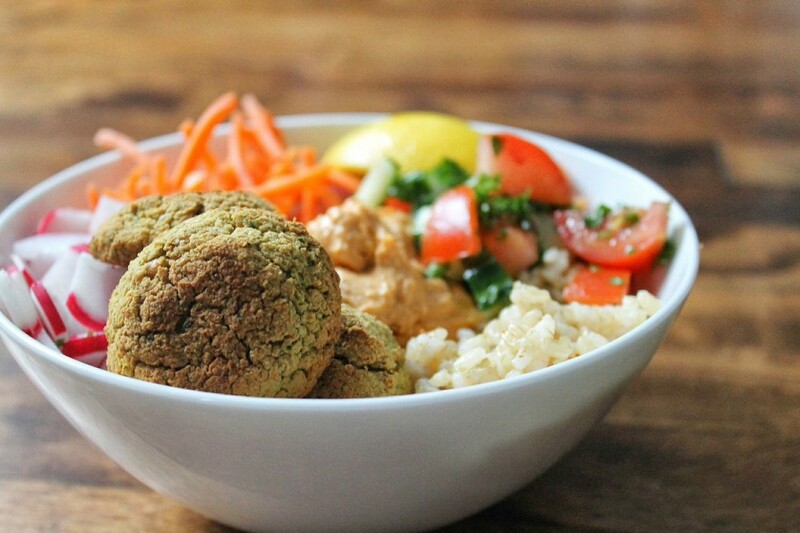 Falafel is a go-to vegetarian comfort food across the Middle East. 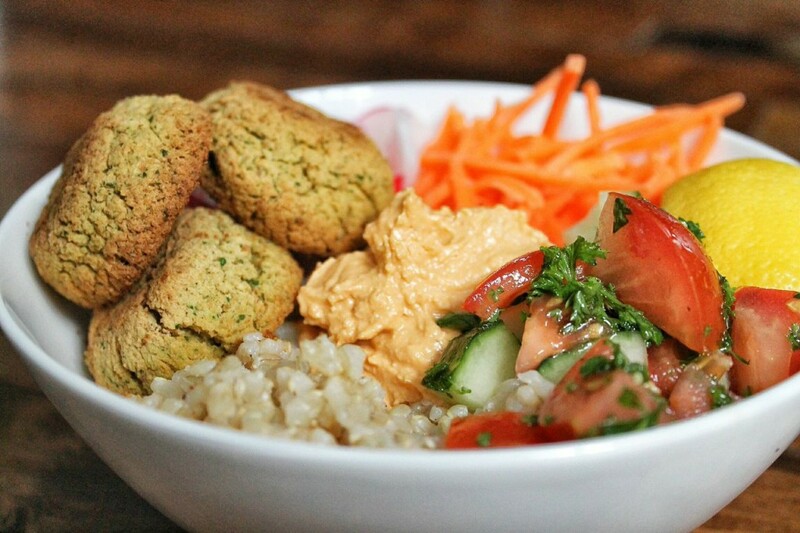 While traveling in Israel I had many falafels, which are traditionally served in a pita with pickled vegetables, hummus, or a tahini based-sauce. The name is often confused or interchanged with equally delicious shawarma which is various meats cooked on a spit. 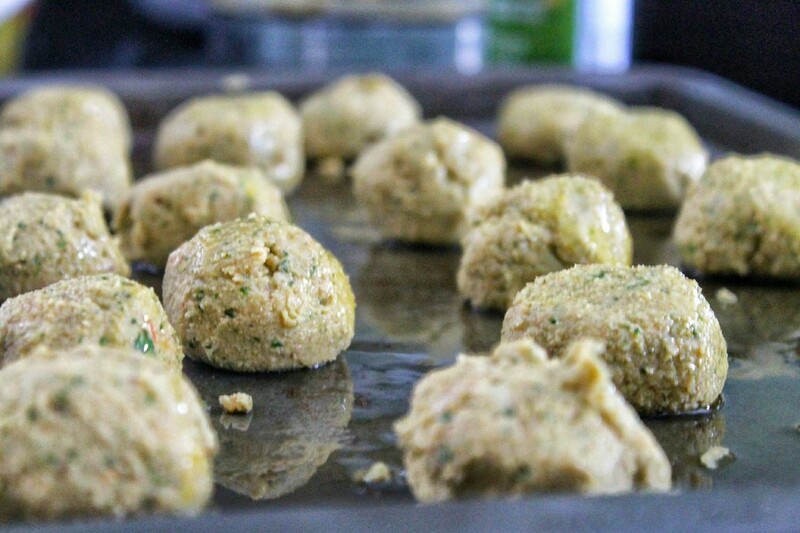 Falafel is traditionally made with chickpeas, flour and spices then deep fried for an amazingly crunchy snack or meal. I eventually had to stop eating the falafel because of how sick I felt which was most likely from the combination of deep-frying and gluten. 2. 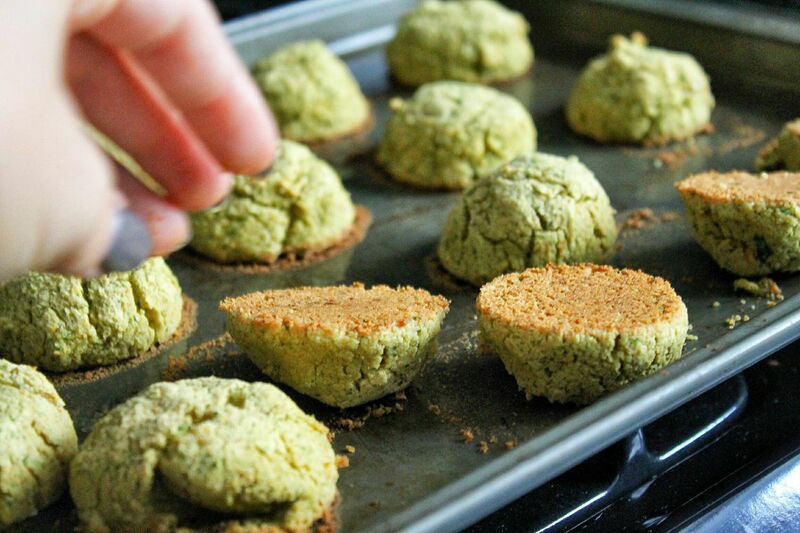 Combine all falafel ingredients except 1 tablespoon olive oil in the bowl of a food processor. Process for 10 seconds. Stop motor and scrape down sides of bowl, then pulse for another 10 seconds, until all ingredients are well incorporated but mixture is still slightly coarse and grainy. 3. 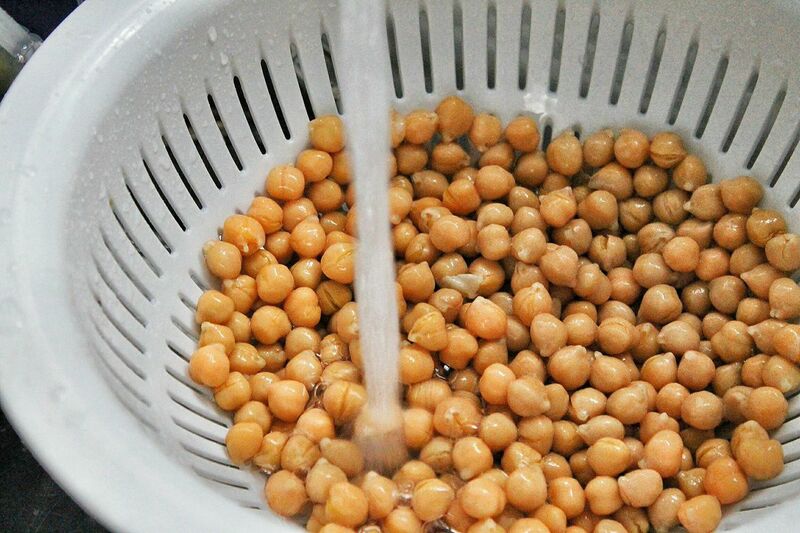 Using a tablespoon, scoop mixture out and form into balls. Brush with remaining tablespoon olive oil. 4. Bake on a cookie sheet for about 40-45 minutes, making sure to flip half way through until brown and crisp. 5. 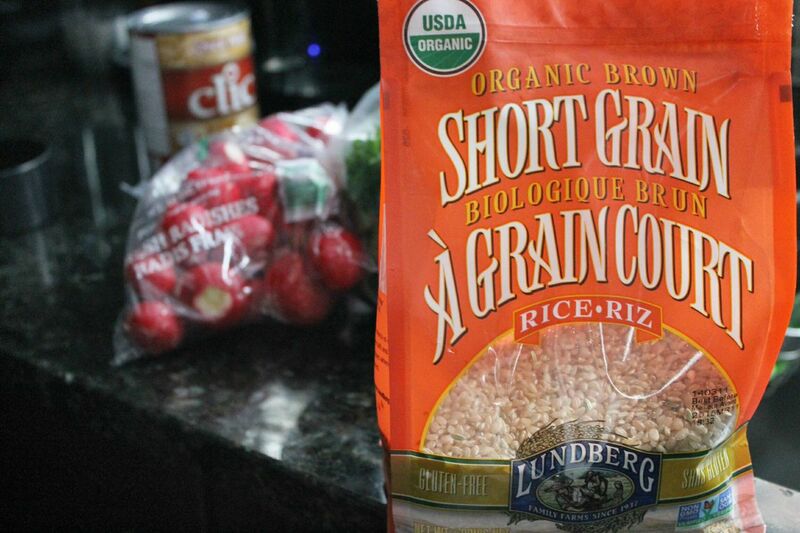 While the falafel is cooking, prepare the rice (follow directions on bag) and grate carrots. 6. 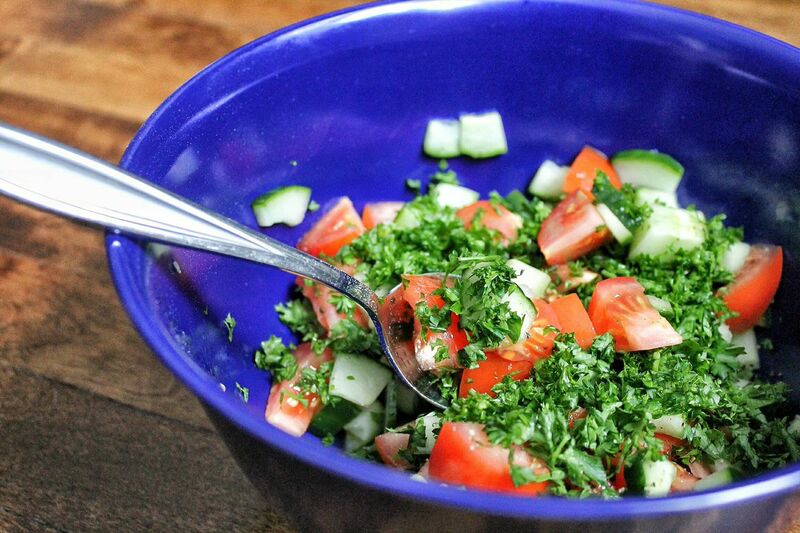 For the israeli salad: Mix in a small bowl cucumber, tomatoes, parsley, red wine vinegar and lemon juice, salt and pepper. 7. Toast pumpkin seeds or sesame seeds in the oven at 350 F for 10 minutes or in on medium heat in a dry pan until the oil is released. 8. 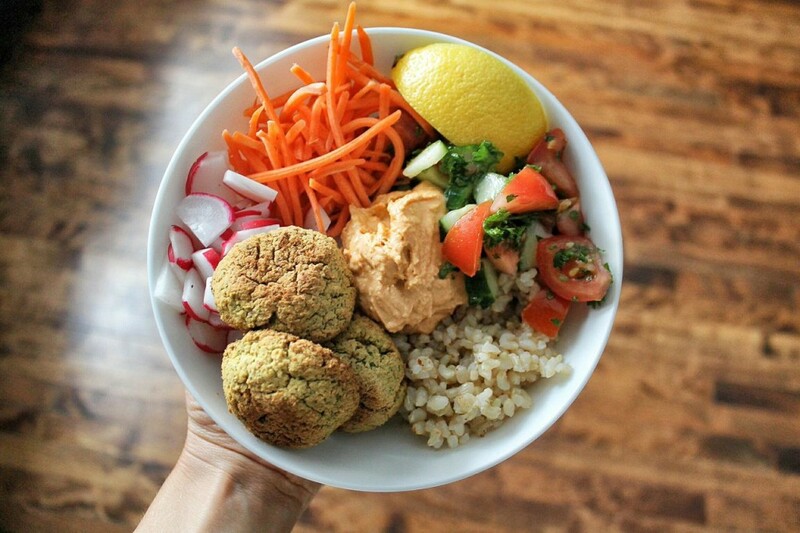 Arrange falafel, rice, carrots, israeli salad, hummus and seeds. Top with tahini or extra hot sauce! YUM!